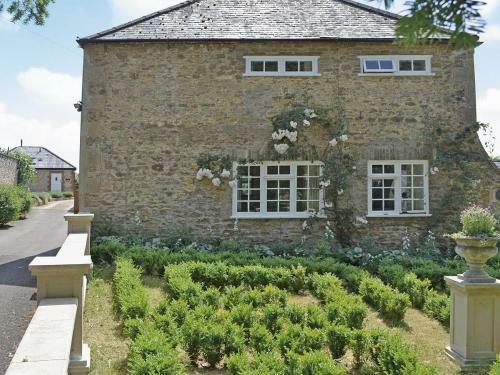 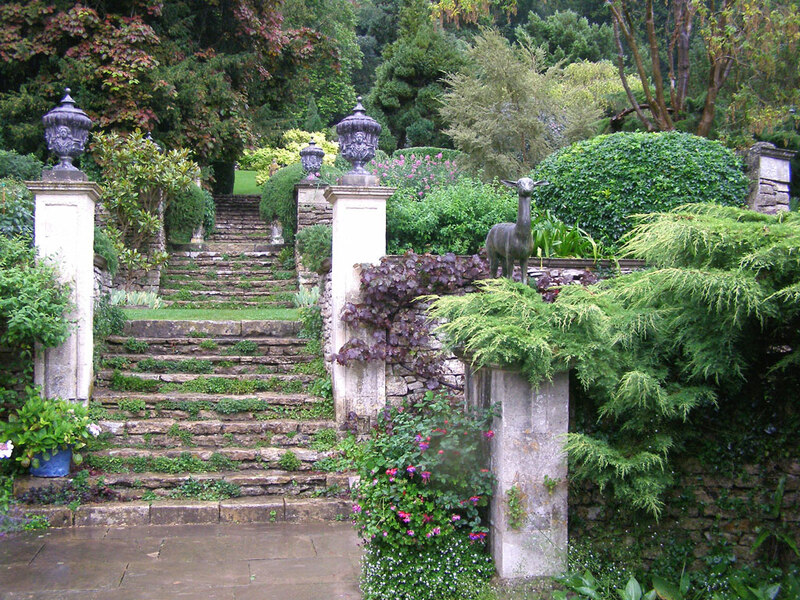 A Tudor/Georgian house with a fine twentieth century garden. 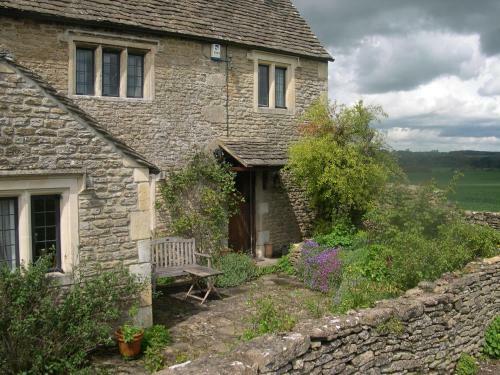 It nestles in the valley of the River Frome. 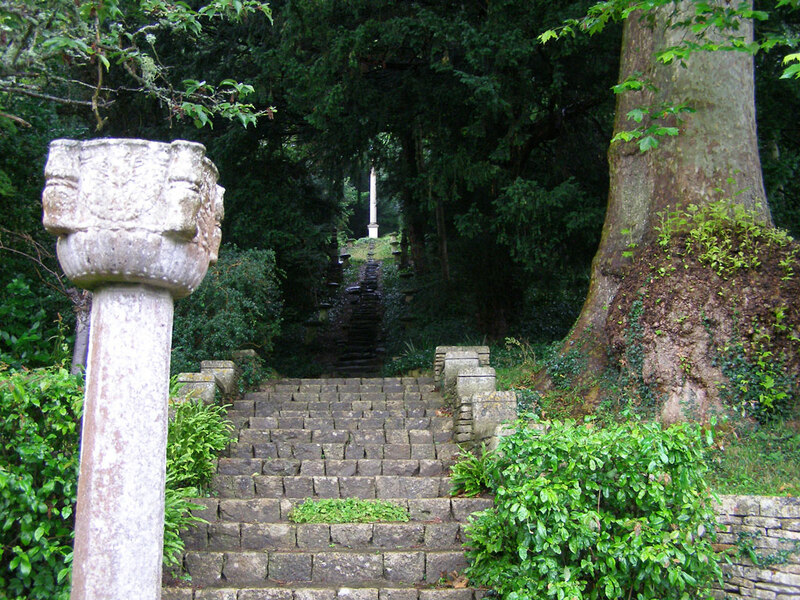 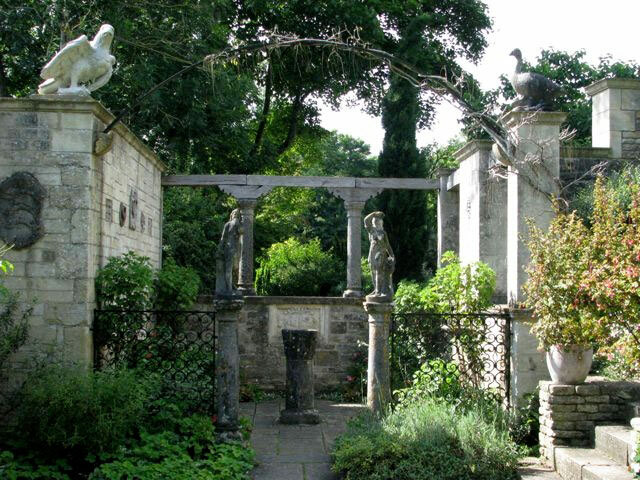 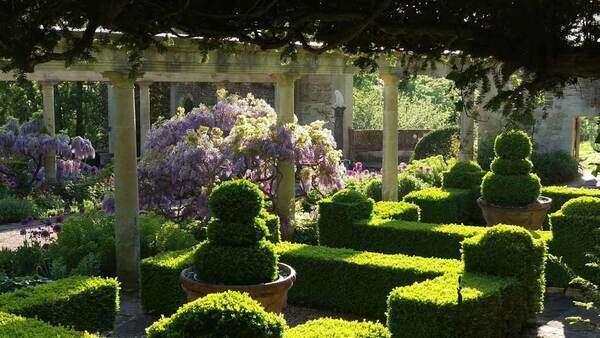 The Peto garden belonged to the Arts and Crafts designer Harold Peto, from 1899 to 1933, and shows his love of Italy. 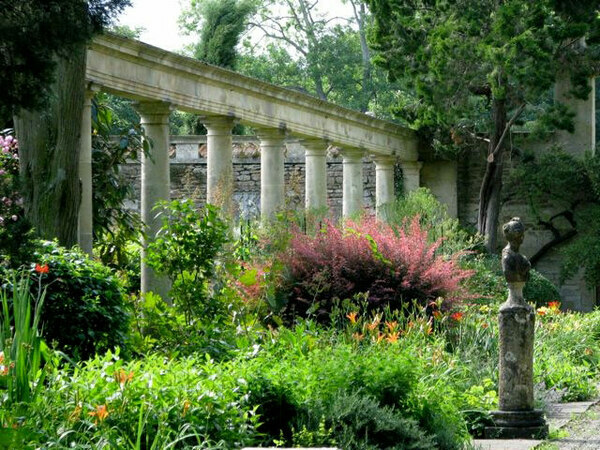 It has a cloister garden of Pompeian scale, terraces, columnar cypresses and Peto's vast collection of statues, urns, sarcophagi and terracotta. 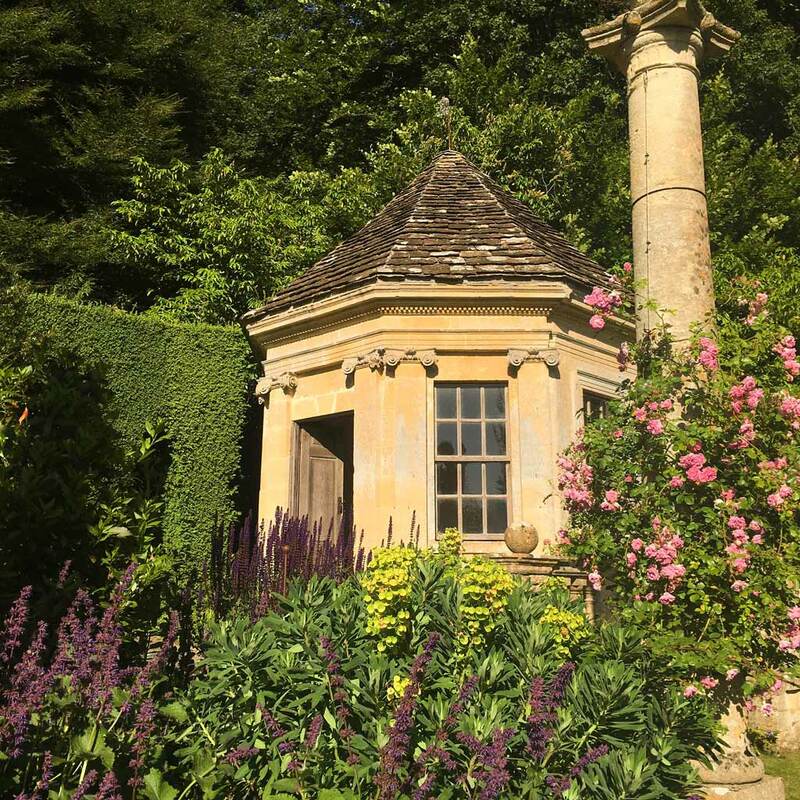 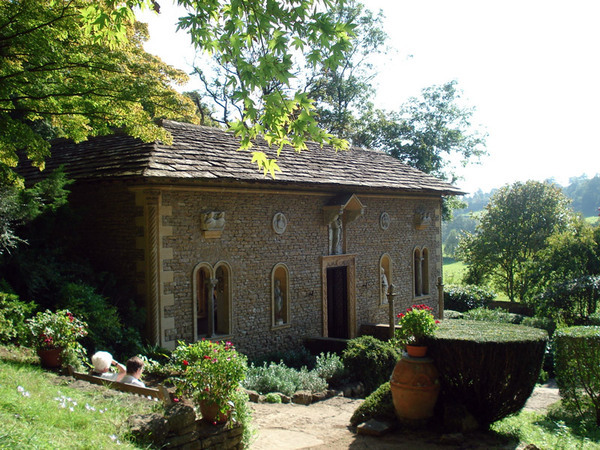 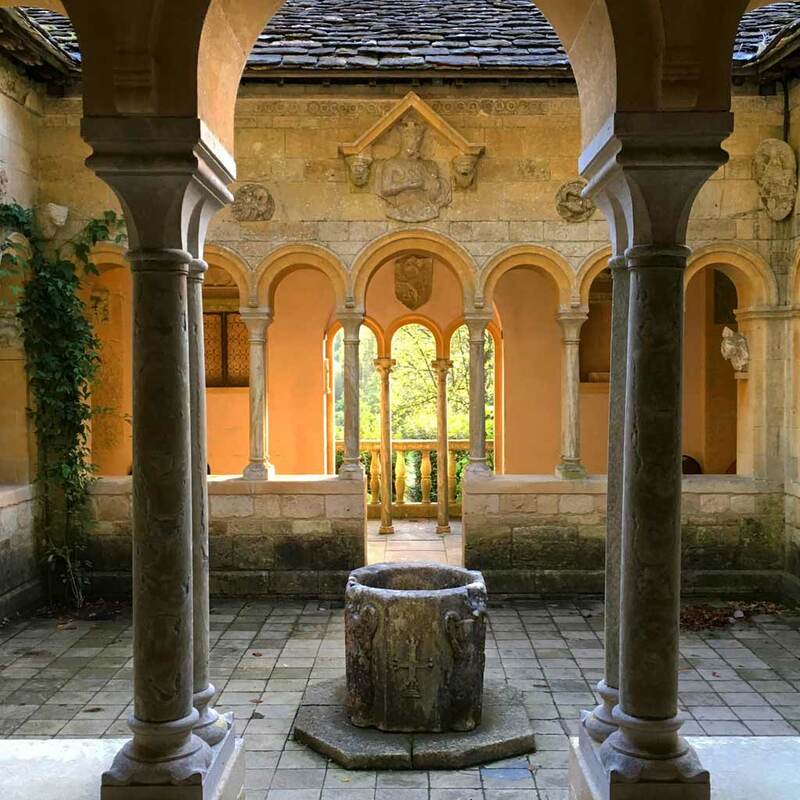 A romantic, Grade 1 listed, Italianate garden designed by the revered Edwardian architect Harold Peto when Iford Manor was his home from 1899-1933. 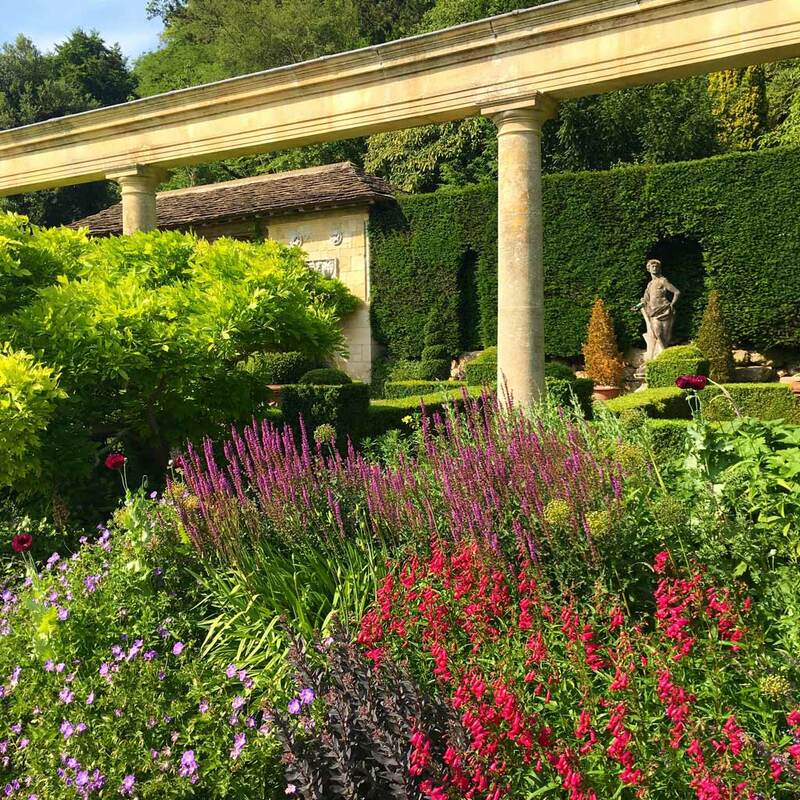 Tucked away at the bottom of a tranquil valley, paths in the Italianate Peto Garden twist and turn around ancient statues, columns, terraces and architecture which, combined with ebullient planting schemes, lead you on in anticipation of the next delight. 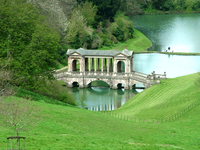 Steeped in history, visitors often say a visit was like stepping into another world. 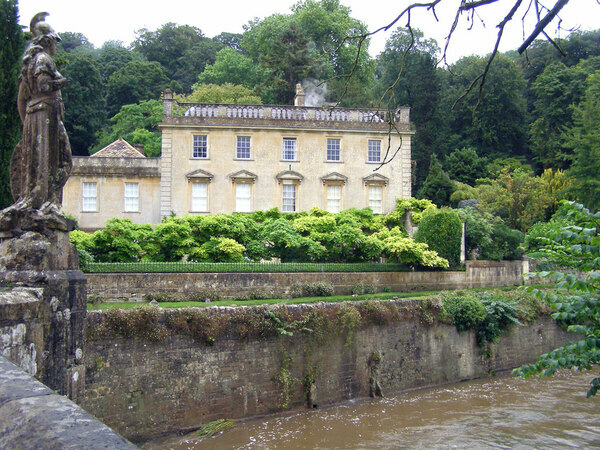 Manor his home from 1899-1933 having been seduced by its Georgian façade beside the babbling River Frome. 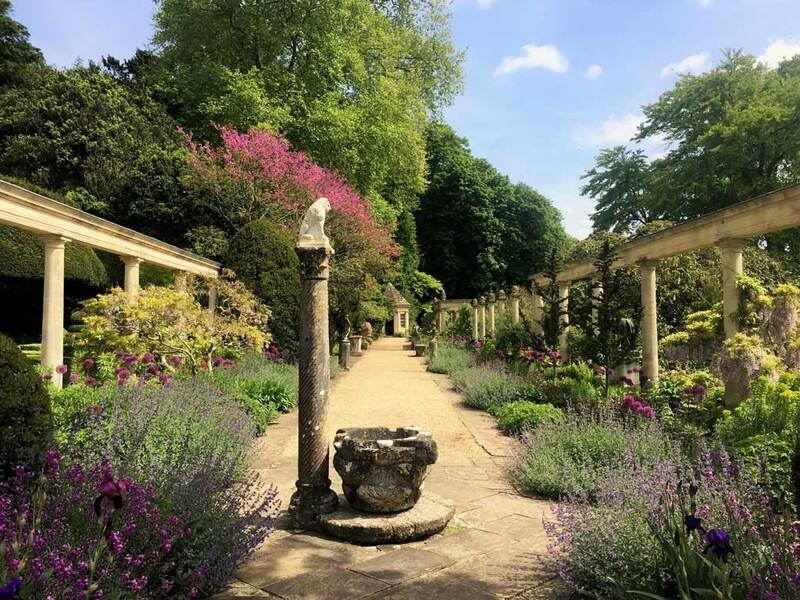 Italianate gardens is “like stepping into another world” (Ben Pentreath, 2016) and is rated as Vogue’s #5 favorite garden to visit in the U.K. (Vogue, 2017). 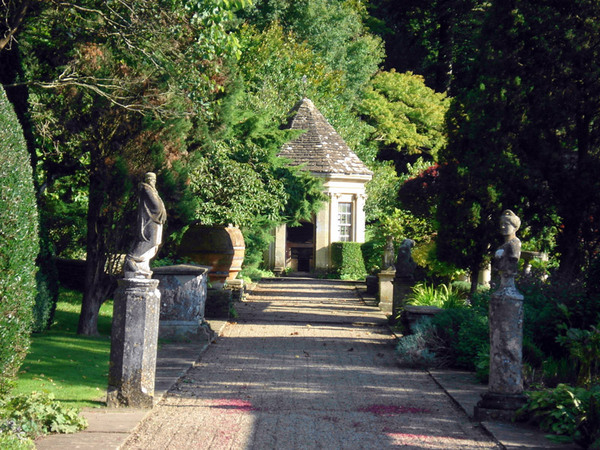 Today the manor and gardens remain in private hands, actively cared for and lived in by two generations of the Cartwright-Hignett family. 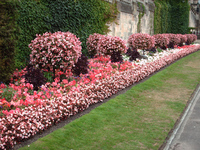 Winners of the HHA/ Christies Garden of the Year award in 1998 and the 'Little Treasures of Britain' award at the 2017 Group Travel Awards. Particularly of note are the stunning displays of Wisteria Sinensis in mid-late May throughout the garden. 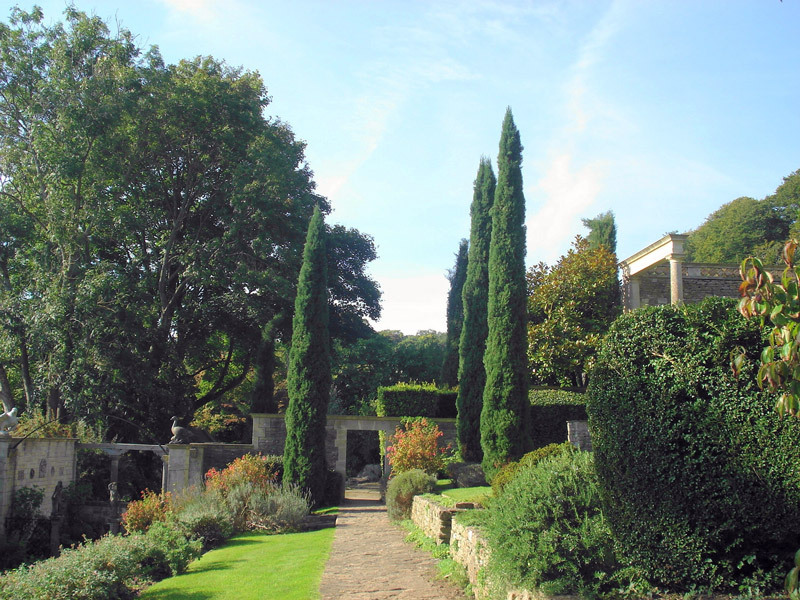 A number of original plants from Harold Peto's time remain: the standard Wisteria Sinensis; Phillyria Latifolia; Buxus Sempervirens which also grows in tree form in the woods; Cupressus Sempervirens; Hemerocalis Citrina, the scented day lily; and, in the long grass by the Cloister, naturalised Martagon lilies. 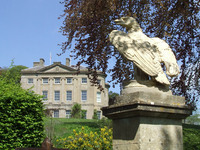 Opening times Open April to September; Weds-Suns (& BH Mons); 11am - 4pm (last entry 3:30pm). EXCEPTIONAL CLOSURE OF THE PETO GARDEN: July 4th, 5th and 6th 2018. 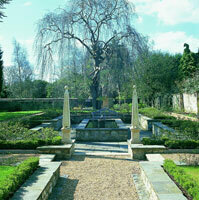 We apologise for any inconvenience but there can be no admittance to the garden on those dates. 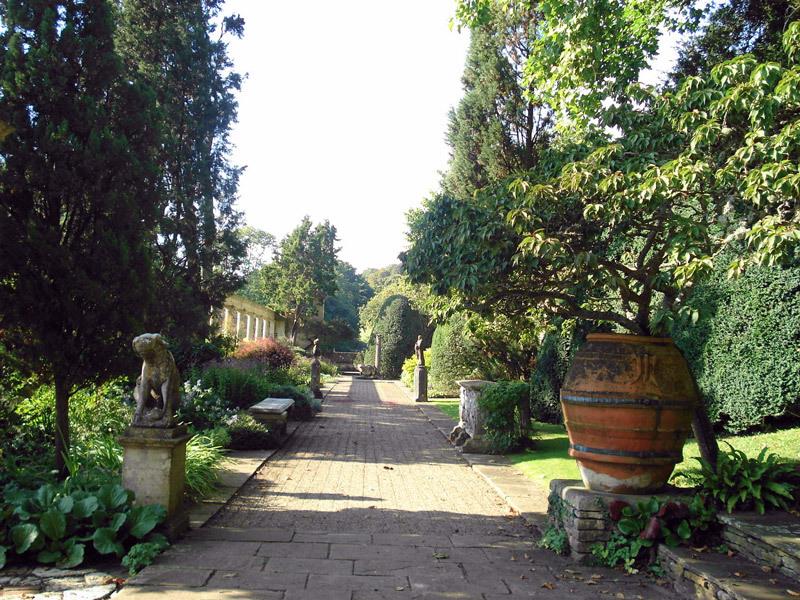 Sundays only in October; 11am - 4pm (last entry 3.30pm). Groups welcome by appointment (including out-of-hours). 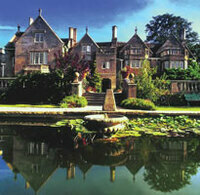 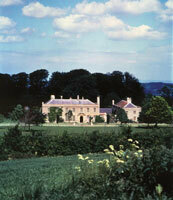 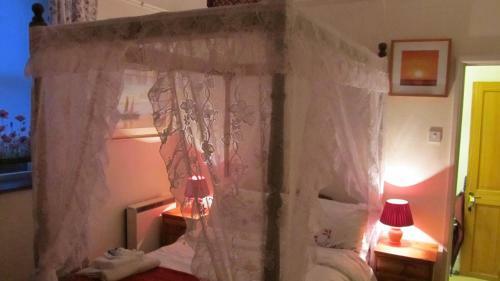 Please e-mail the office info@ifordmanor.co.uk for details. 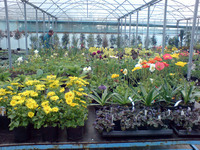 Entrance fee £6 adult; £5.20 concession; Children under 2 free. 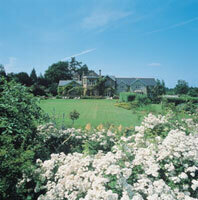 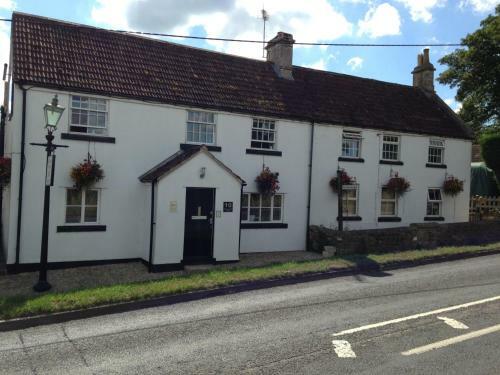 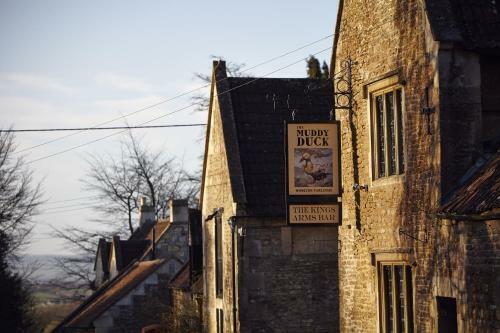 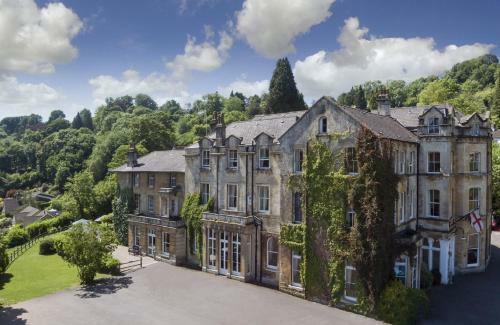 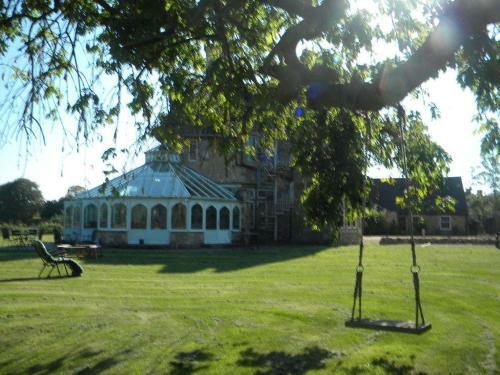 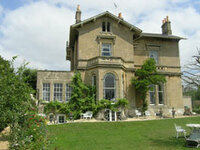 Groups please contact the office (info@ifordmanor.co.uk) for group prices.